PLEASE NOTE: This document supersedes all other Halan sources, canon or not. Information not present in this source cannot be considered canon; if you are confused on any specific point, or believe we have overlooked something important, please ask a Dungeon Master. Please send any and all questions and suggestions for the FAQ to me, Arawn. 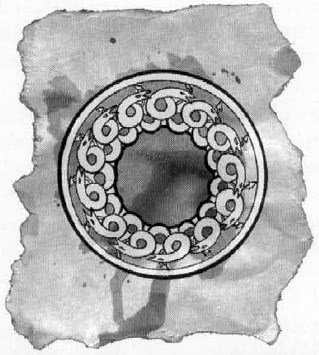 Symbol: A ring of thirteen coiled serpents, each consuming the tail of the next. Core Tenet: Always take the path of least suffering. Hala is the Goddess of the Weave, a mystical force which is the fundamental structure of creation. In order to empower Her followers to follow out Her commandment, Hala granted the Craft, the ability to manipulate the Weave, to the thirteen most promising among them. Passed down since then from generation to generation, this power is a carefully-guarded secret. The Tales of Ages are the holy text of the Church of Hala. Unlike other churches’ books of dogma, they are merely a history of the early worship of Hala and the emergence of Her church. Particularly ancient copies can be powerful relics. All of Hala’s spellcasting worshippers are called Witches, including both Hospice (Church) Witches, who do not practice the Craft, and Coven (Hallowed) Witches, who do. All Witches tend the sick, heal the wounded, and strive to uplift the downtrodden. In many lands, the term Warlock is used for a male Witch, but the term is otherwise interchangeable. Hospice Witches are priests and priestesses of the Goddess, and live in small establishments ranging from a few to several dozen members. In less dangerous lands they usually dress in white or powder-blue robes, with women veiling their faces at all times and believing it is sacrilegious to reveal them. In more dangerous lands they usually dress normally, but carry an item of woven fabric as a secret token of devotion or a subtle sign. Coven Witches form small, mystically-connected groups called Covens for mutual aid and to organize both the practice and study of the Craft. Also known as Hallowed Witches, these spellcasters usually study both arcane and divine magic in preparation to learn the secrets of the manipulation of the Weave. Many Covens exist wholly or partially within hospices, where their members usually pose as ordinary priests and priestesses, often assuming positions of leadership. As neither the Church of Hala nor the Covens have any central hierarchy, different Halan establishments and groups can have radically different approaches and strategies. Both the Church of Hala and the Covens also are deeply suspicious of and sometimes openly hostile to solitary Hallowed Witches, particularly if they do not show any interest in joining a Coven. Hags are the natural enemy of Halans, because they can also manipulate the Weave, but use it to spread death and destruction. They form coveys, dark mirrors of Covens, and often pose as Witches. For all of these reasons Halans consider them abominations, and believe they must be destroyed at all costs. Communities of Halans are found in Barovia, Borca, Dementlieu, Falkovnia, Hazlan, Invidia, Kartakass, Mordent, Richemulot, Sithicus, Valachan, and Verbrek. The worshippers of Hala, commonly known as Halans, believe that the world was created by the Nine Gods, eight of whose names are lost or unknown. The gods created the world from the infinite gray and swirling voids of Chaos, constraining it (also ‘etching’ or ‘weaving’ it) within the Weave, the mystical framework or structure that gave order to the cosmos. They placed mortals within the world so that they might grow and reach a potential beyond even the gods’ own imaginings. Good or evil did not matter, only that mortals realized the potential which the gods had envisioned for them. The nine gods then withdrew from the world and made a compact not to interfere except to grant spells to their priests, in order to allow mortals to develop and grow on their own. However, mortals became cruel, petty and ignorant, and in their lack of wisdom filled the world with pain and suffering. Eight of the Nine maintained that the compact must be upheld and that mortals should be left to their own self-inflicted fate. Hala, however, believed that they had not granted their worshippers the tools they needed to overcome these difficulties, and could not bring herself to abandon their mortal creations. Thus she became the only god of the Nine to break the compact they had made and return to the World, where she intended to intervene directly, granting mortals powers that ensured they could guide their own kind out of the nightmare in which they now dwelt. Although some outlanders note that in other worlds arcane magic is referred to as “the Weave,” this is wholly different from the force known as the Weave in the Demiplane of Dread. According to Halan teachings, the Weave represents nothing less than the fundamental structure of creation, dividing finite reality from infinite Chaos. It has been variously described as a “web,” or a “force,” being sometimes explained as strands of magical energy that constrain the forms and shapes of all matter and all realities real and imagined. It may be that the truth of the Weave cannot be adequately described to those who are not privy to its mysteries. Most Halans believe and teach that the Weave is formed of (or simply is) the patterns that the Nine etched upon Chaos, constraining its boundless possibility into concrete existence. Whether Hala has always been the Goddess of the Weave, or whether she merely taught mortals to use the Weave is not known. The difference is not important, since the other Eight of the Nine are no longer known or worshipped, and the Goddess’ followers alone hold the key to its manipulation (if Halans are to be believed when they say that hags do so unrightfully). Hala descended into the world, and walked it, seeking those who represented what she believed mankind could become, and were willing to take what actions she thought were necessary to end suffering in the world. Many of those she met became her priests, establishing the first hospices and holy places of Hala. Others strove to see her purpose fulfilled in other ways, using the talents that they possessed. All of these, regardless of their abilities and station, called themselves Witches, for that was the title of the servants of Hala. Later some began using also the title Warlock as well for male Witches. From the ranks of all of her worshippers Hala drew thirteen Witches, seven women and six men of unsurpassed devotion and strength of mind. To these Witches, who each already possessed considerable powers of magic arcane and divine, she taught the secrets of the direct manipulation of the Weave. The power of the Craft, as it is often called, struck fear into the hearts of many. Much folklore of the Core holds magic, and the Craft in particular, to be the cause of children born as caliban. Worse, it was discovered that hags drew upon the same source of power. And so it was that Witches became first feared, then persecuted. It soon became clear that the Goddess’ newly-formed Coven would need the safety of obscurity to perform the necessary work to fulfill the Goddess’ purpose. For this reason the first Coven, and all of the Covens that would come from it, chose to live their lives in secrecy. Many remained within the Church of Hala, finding comfort in being able to profess their faith openly, if not to practice the Craft publicly. Others went to live among the mortals that the Goddess so wished to free from their agonies, using their gifts where they could to further Hala’s purpose. Most of these Witches concealed their powers, teaching them only to their own successors, which were often their own children. Indeed, each of the Thirteen had children, and over the centuries these bloodlines became venerated even among the clergy of Hala who did not always understand their full import. Those of these bloodlines who possessed the latent ability to see the Weave could be trained in turn to manipulate it, and thus was the Goddess’ gift passed down to future generations in secret. Worshipers of Hala do more than uplift the downtrodden, aid the sick and wounded, and guide mortals out of the pettiness and cruelty which they inflict upon one another. The Goddess charged her followers to always seek to lessen suffering in every land in which they might dwell, so that mortals might be freed to move towards their own potential. The extent to which this charge is taken depends both on the group and the individual involved. Some Halans believe it means that they must seek to undermine rulers and institutions who are the cause of cruelty and suffering in their realms, regardless of whether they be good or evil; others seek to carry out more immediate change through participation in or influence over the life of the communities in which they make their home. In general, the idea of alleviating suffering wherever possible can be best expressed as the ‘path of least suffering’, whatever that path might be—and for some Halans this path can take a truly dark turn indeed. Although Halans avoid personal violence, they will take up arms if no other option remains, weighing the risk of their own death and the suffering they might alleviate against the suffering that will occur due to their inaction. Obviously, there are often disagreements between different Halan groups, both Covens and hospices, and even between different individuals, as to what constitutes the path of least suffering in any given situation; this can even lead to open conflict. Both Church Hospices and Hallowed Covens often spring up in lands blighted by suffering and cruelty, and often (especially hospices) become sanctuaries for the persecuted. Sometimes they also become sources of aid for opposition groups and rebels. The subversive activities of Halans in places such as Hazlan and Valachan are widely rumored, as is the terrible price paid by any Witch who finds themselves a prisoner of an unfriendly ruler. Even in places where hospices cannot exist easily or at all, such as Tepest, hidden Covens carry on the Goddess’ charge, laying plans that will span months, years, or even decades, guiding and manipulating the world towards the original vision of the Nine. It is usually from these domains that Halans who practice druidic magic in the Goddess’ name come, from hermitages or hospices concealed within great forests or from Covens who work upon the Weave running through the verdant life-force of the wilds. The Tales of Ages is a history of the creation of the World and the beginnings of Halan worship, including the story of how the Goddess came to teach the Craft to her followers. Purportedly written by one of the Thirteen, it has been copied and shared from hospice to hospice and coven to coven. The oldest of these copies sometimes become imbued with divine magic, becoming valuable and powerful relics. One particularly ancient copy is known to exist in Rotwald, in Valachan. Unlike the Books of Ezra, the Halan Tales of Ages gives no firm indication of dogma or discipline, contributing to the diversity of thought and practice in the contemporary Church. However, the text is often more meditation than treatise; it leaves many details vague or unclear, and to fill these gaps disparate Halan groups have evolved their own, often drastically different, explanations and texts, many of which have become codified virtually as law for a particular Coven or tradition. In the beginning there was Chaos, a swirling gray mass without form and with no more substance than air. The nine gods saw the Chaos, and they resolved to make the World, a place where those born of flesh would be left to their own devices. The nine gods took the Chaos and etched patterns into it. They linked the patterns into the Weave. Upon the Weave, the gods built the World. The gods then found those born of flesh, and they placed them into the World. Their work done, the gods withdrew from the World, believing it to be a place where those born of flesh would achieve both the greatest and darkest deeds possible. It would be a World shaped by the actions of those born of flesh, and the gods would interfere only by granting magical powers to their most loyal servants and those who gave them worship. But one of the Nine Gods, she who is named Hala, knew more needed to be done. Alone among the gods, she felt the pain and suffering of the mortals that had been created to populate the World, and she could not stand idly by. The meager powers that the gods agreed to grant to their most loyal servants and those who gave them worship were not sufficient in Hala's mind. However, the other gods would not permit any interference. The gods had agreed that beings born of flesh were the ones who were to shape the course of the World. The gods agreed that they would minimize their involvement. Hala claimed that none of them had foreseen what the World would become if those born of flesh were left to their own devices. She wanted to do more, so she took matters into her own hand and betrayed her promise to her fellow gods. Hala reentered the World. She walked its hills and searched its villages. She searched for men and women who shared her desire to do more, who wanted to ease the pain and suffering of the mortals who had been created to populate the World. Some of those born of flesh became her first priests, and to those she gave the gifts permitted by the other gods. From the ranks of her priests, she choose the Thirteen, her most devoted priests and priestesses, those who felt the pain and suffering of the mortals most strongly and who wanted to ease it. To these Thirteen, seven women and six men, she revealed the Weave and bound them to it. She granted them abilities like those of the gods. She gave them the ability to sense the Weave and the patterns the gods etched in Chaos when they created the World. She taught them how to use the Weave to further her goals and desires. Those born of flesh could not manipulate the Weave as effectively as the gods did, and the limitations of the flesh determined how the Weave would bend to their will. Hala knew that those born of flesh are frail and prideful. She had to do more to ensure that they could overcome their limitations. So she gave the Thirteen more secrets of the Weave, and through those they gained a greater understanding of each other. Hala chose to show them parts of the Weave that were crafted in such a way that the more Witches or Warlocks who banded together to draw on the Weave, the stronger their powers became and the more able they were to enact her will. To call the Church of Hala a Church, especially in the singular, is a misnomer bordering on wholesale mischaracterization. It instead describes those who publicly practice the worship of Hala, contrasted with the Witches of the Coven who practice the Craft, although in truth these groups overlap to a great extent. Although the many groups of Halan clergy all share devotion to the Goddess and Her charge, they are startlingly diverse in the details of their daily practice. The Church is formed of various small safe-houses, shelters, hermitages, orphanages and hospices, with no overarching hierarchical structure or ranks beyond the title of Mother or Father, accorded to the High Priest and/or Priestess of each order or hospice, and Sister and Brother, granted to everyone else. Halan clergy tend to organize themselves in independant orders belonging to a shared tradition, such as the Sisters of Mercy or the Sisters of Compassion; smaller hospices may not have a formal order, but keep the precepts they learned from those who trained them in the faith. Halan clergy typically desire to integrate themselves and their work into the communities that they serve; as a result, most Halan hospices are located close to or within population centers in the domains where they dwell. This is true even of Halans in domains whose cultures or rulers are not welcoming or even openly hostile towards the faith; they merely do so clandestinely, as wise women or healers. In these places novices are taught the principles of Halan faith and practice, while gaining practical experience in treating sickness and healing wounds. Older Halans might acquire a specialty, like herbalism, carpentry, or library-keeping. Hospices are also often places of learning, where Halans accumulate texts on a variety of practical and theoretical subjects. Some ancient Hospices have truly impressive collections indeed, numbering thousands of volumes, including many priceless and rare texts that cannot be found anywhere else. New establishments, and sometimes new orders, are founded by priests and priestesses from existing Halan orders or groups moving to a new place, erecting or purchasing a structure, and beginning their work. Although the new group will often be considered to belong to the same order when moving to a new hospice, it does not mean that they owe any obedience or support to their previous orders. There are no ecumenical councils, nor conclaves, nor synods. However, disparate orders and hospices, connected by a common founding or not, will consult with one another when a problem concerns them both, presuming they are even aware of the others’ presence. They will, to a point, grant aid and respite to lone followers of the Goddess passing by their establishments, but they lack any formal alliance and are often at odds about how best to carry out the Goddess’ charge. Furthermore, these establishments often contain numbers of Coven (Hallowed) Witches, who are often clerics and can easily pass for them if not. Coven Witches will often, though not always, gravitate towards positions of leadership in these orders. Many Hospice Witches are blithely ignorant of the fact that their own high priests and priestesses practice the Craft in secret or even belong to a Coven. This (or suspicion of it) may be the reason why the Church of Ezra believes a hidden hand guides the actions of Halan hospices: in many cases, it does. Hospice Witches do, however, have some relatively common shared practices. In lands where Halans are widely accepted, or at least tolerated, such as Dementlieu and Mordent, Halans will wear full robes and hoods, usually in white or powder-blue; priests tend to wear larger hoods, and priestesses usually veil themselves, hiding their faces entirely. The difference in dress between the genders is explained by Halans as representing the greater resemblance of women to the Goddess. Among those orders that practice concealing the face, many believe that the taking of the veil is a sacred practice involving a symbolic surrender of petty selfishness to the service of the Goddess, and that to thereafter remove their veils in the presence of any other than fellow Halan Witches represents great sacrilege. Some go so far as to solely remove their veils in private, only lifting them for eating and drinking. In lands like Tepest, where to be revealed is to risk immediate and excruciating death, Witches dress and act like the general population, although they often keep an item of woven fabric, such as a shawl, about their persons as a reminder of their faith and duties. The Church of Hala, in stark contrast to other faiths of the Core such as those of the Lawgiver and Ezra, does not proselytize or seek new converts through evangelization or conquest. Indeed, the most common way of becoming a Halan is to be born into the faith and raised within its community. Some do turn to the worship of Hala after positive encounters with Her clergy, but this is neither expected nor encouraged as a prerequisite to receive the Goddess’ aid and assistance. As a result, Halan numbers are quite small. The precise reason why the Goddess does not seem to wish to expand the numbers of her worshippers beyond those who turn to her faith from experience or birth is unclear, and surely a subject of some debate even among Halans themselves. Hospice Witches, if they marry, generally do so later than most others. Some groups forbid marriage outright so long as a Witch remains among their numbers; others discourage it; still others are neutral. Many among them view their commitment to the Goddess as a spiritual love greater than any worldly devotion; however, they must balance their dedication to their work with the undeniable fact that if they do not have children, the Church will eventually cease to be. A Coven is a union of Hallowed Witches formed for the common pursuit of their studies and goals, defending each other and their families, and pooling their magical power for even greater feats of Craft-work. A Coven requires only three Witches to form, usually with at least one Witch of some power who seeks to bind together Witches of similar convictions and with similar goals. After that, as new members join, the Witches perform rites of initiation which bind the Coven more tightly together. These rites vary from Coven to Coven, but they generally take seven hours and involve the chanting of spells and the burning of incense. It is encouraged that young Witches delay joining a Coven until they are emotionally prepared, as the work of a Coven is emotionally, physically, and spiritually draining. The largest and most powerful Covens generally have thirteen members, both because it is a sacred number and because no additional power seems to accrue after that point. Where hospice Witches can often work publicly, Coven—i.e. Hallowed—Witches must almost always operate in secrecy. Many exist within the Church itself, outwardly masquerading as mere priests and priestesses while meeting with their Coven-mates in secrecy to work the Craft. They almost always keep this a secret from all other Halans, even their own spouses and children, until they have identified another with the potential and temperament to learn the Craft. Others dwell in the world, living as hedge Witches or wise women and men, keeping the true nature of their powers concealed. Most belong to an organized Coven; some do not; Witches who do not seem inclined to find a Coven may find themselves treated with suspicion by Witches that do. Potential new members, even those who are the children of existing members, must be determined to be suitable; generally, the leader of the Coven and at least two other Witches will befriend the candidate, engaging them on a series of subjects including their magical experience, philosophy, Halan theology, political and cultural beliefs, and so on. Although these are not strictly necessary for a Coven to function—and temporary Covens with extremely diverse memberships have been formed—for a Coven to endure, it requires a certain unity of philosophy, ideals, and purpose. Despite their decentralization there are many traits that Coven Witches generally share. Firstly, they are often deeply private individuals, preferring to interact with society outside of their own family or Coven as necessary to carry out their work. Secondly, they have a great love of knowledge; a necessity for delving into the greater mysteries of the Craft. Witches often collect books, artifacts, and the like; some long-established Covens stand guard over large troves of knowledge much as do hospices. Indeed, some Covens view the acquisition of knowledge as their primary purpose, that such knowledge might be used to further the Goddess’ purpose or to heighten their powers in the manipulation of the Weave. Once a Witch has been taught the mysteries of the Weave, and has displayed a true aptitude for it, to join an existing Coven is as simple as stating one’s intention to join, and have that intention accepted by the existing members of the Coven. However, once joined to a Coven, a Witch cannot participate in rites of other Covens. If they leave that Coven, they may not join another until the next full moon, and if an existing Coven wishes to reform itself to work different feats of magic, it must dissolve completely and re-form on the next full moon. Once a leader is established (beginning with the founder of the Coven), the leader generally remains in that role until their death, at which point the Coven either dissolves or another member steps into the mantle of leadership. This is a common point for Covens to split. Witches who have been in Covens together in the past generally retain bonds of friendship and, to a certain extent, allegiance with one-another; the bonds of mutual experience and shared history—especially after the intimacy of shared Coven membership—are almost as potent as those granted by the Goddess. This intimacy is precisely the reason why so many covens end up composed of a single gender--romantic feelings can easily destabilize a coven, a risk many Witches are not willing to take. Mixed-gender Covens tend to be led by women, believing this to be preferable because the Goddess herself is female, but there are plenty that are also led by men. Continuity and tradition are important to Covens; usually, they record their elaborations on the Tales of Ages in writing, along their Coven’s own interpretations and elaborations and particular beliefs, and pass these materials down to further generations of the Coven. Over time, as the Coven members die and are replaced, these written records cause some Covens to grow as hidebound and close-minded as some of the churches and governments they often oppose. It is not uncommon, therefore, for well-established Covens to be in conflict with new Covens--or even with each other--over how the Goddess’ purpose might best be served, or how and where they may recruit new Witches to the Coven. This tends to occur less with more philosophically-minded Covens, but activist Covens can and do end up in open conflict. As previously discussed, all Halans, to some extent, but particularly Hallowed (Coven) Witches, are highly diverse in their beliefs and practices, and disparate groups often hold highly differing, even contrary, principles and goals beyond the Goddess' most fundamental commandment. Witches have never made any bones about the fact that they will always take steps to ease the pain and suffering of people everywhere. Thus some Halans, usually Coven (Hallowed) Witches, take this as justification for more drastic action. For example, if the source of the suffering is the ruler of the land in which they dwell, the doctrine of Hala can be interpreted to mean that those faithful to her must oppose such rulers in all things. This does not necessarily mean taking up arms against the ruler; if a worshiper of Hala is dead, how can he or she help those in need? For example, at one time there were two small Witch Covens operating secretly in the domain of Hazlan, where they subtly worked to undermine the notion among the populace that the racial group known as the Mulan rule because of divine sanction. These Witches were in grave danger from Hazlik the Red Wizard, Hazlan's undisputed tyrant, as well as enforcers of the Church of the Lawgiver, who would kill them for their blasphemy. These Covens were even at risk from adventurers and monster hunters in Hazlan, for they hid in exactly the places where one expects to find hags: the barren wilderness in the western and northern parts of the domain. These Covens have since moved elsewhere. Others have not been not quite so lucky. Indeed, there is a broad range of goals and methods among Covens. Some Hallowed Witches possess strong social consciences, though they do not necessarily subscribe to the values of the majority of their society. They want everyone to be healthy and happy, and to have an equal chance to achieve their dreams. They value individual rights, freedoms, and desires above those that a lawful society might try to dictate; they are often found on the forefront of struggles to change societies where one or more groups keep others back because of their background or racial origins. They work alone much more effectively than do other Witches, tending to rebel when made to work in groups for long periods of time. This type of Halan tends to think "If everyone is doing it, it must be bad because compliance and obedience can lead to oppression and slavery." One exception to this love of individual freedom is the bond of the Coven. Here all Witches work together with their Coven-mates to forward the goals of the Coven, as well as goals shared by any Coven cooperating with them. Since Coven members almost invariably have similar interests and goals, few among even the most independent-minded Witches feel as though they have sacrificed any of their principles by joining. Indeed, the added power they enjoy helps them work toward achieving their important goals. This type of Coven rarely thinks small; they rarely focus on the short term. They initiate plans that take years or generations to complete; thus, some of them are prone to using magical means to extend their lives. Among these Covens there are further divisions: some tend to use their powers to secure the rights of others to pursue their destinies, and act against governments and authorities only when they behave in an oppressive fashion that denies individual rights, opportunities, and happiness. On the other hand, others work against all authorities and governing bodies of all types, believing them inherently oppressive and wicked. However, even among the most anti-authoritarian Covens there is a firm understanding that their most destructive magic must be reserved for use against those who cause the most suffering for the weak. Some Covens attempt to show those they have freed from tyranny how to handle their new freedom, while others simply leave them to their own devices or, worse, take advantage of them to further some longer-term goal. For other Hallowed Witches, however, at their core is a strong parental instinct to nurture and protect the family. This family does not need to be a spouse and children, but could just as easily be an adventuring group, the Witch's Coven, or orphans in the city they inhabit. No matter who their "family" is, this type of Witch is willing to lay down their life to save those they love. Further, they will go to great extremes to take revenge against those who have harmed their family. This causes a Witch with a family to be careful about picking their battles. Once a struggle is joined, however, they do their utmost to ensure complete victory. They usually leave opponents unable or unwilling to threaten the Witch or their family again. This type of Witch is typically active but not necessarily forward, often preferring to work behind the scenes to accomplish their goals. They make charismatic and well-liked leaders, teachers, managers, or aides, and function best while directing or working in a group. They dislike working alone for long periods of time. This type of Witch is not likely to question a group rule or law, thinking "If everyone is doing it, it must be all right," unless the law is obviously destructive and results in evil or chaos. These Witches prefer to operate within a given social structure, supporting the better aspects of any state or town they inhabit. They have been known to hold political office, run charities, operate hospices, and take part in similar groups that benefit the general welfare of their societies. It is not unknown for Witches to support and enforce restrictive laws if they perceive it will result in less suffering. Thus, if Vistani have been known to make trouble in a town inhabited by Witches, it is likely the Witches will support laws designed to keep all Vistani out of the town proper. None of this to say that all Halans conform to one or the other archetype; many have aspects of both and, indeed, there are yet still more schools of thought on how Halans ought to best fulfill the purpose that the Goddess entrusted to them. However, they all hold to the same core principle: that whatever actions they take, or no actions at all, should result in less suffering in the world than when they began. Beyond the disagreements that can occur between Covens, further discord sometimes arises between Hospice and Coven Witches. After all, it is perfectly common for two Halans to meet and never realize that they share a faith, let alone be in complete agreement on the best way to carry out the Goddess’ purpose. Hospice Witches are generally tolerant of specific Covens, where they are aware of their existence. However, they view their intentional separation from their sisters and brothers in the church as suspicious, a suspicion which is worsened by the lack of precise understanding on the part of many hospice Witches of the precise nature of Hallowed Witches’ power. However, hospice Witches often frown on solitary, single Witches or Warlocks just as Coven witches do, feeling they are at great risk of succumbing to the temptation of using their own powers for selfish gain, or worse, potentially even being hags in disguise. Against such Witches, therefore, especially when their aims disagree with those of the local Halan clergy, Witches will resort to practically any means, including alliances with the Church of the Lawgiver and the Church of Ezra, to see them driven away—or even hunted down and destroyed. This is a further—and important—contributing factor to the secrecy that the Coven Witches maintain even within the hospices of the Church. A Hallowed Witch is an individual, descended from the Thirteen, who has been trained by another Witch to manipulate the fabric of the Weave itself. In order to possess the requisite magical understanding necessary to understand even the most basic aspects of the Craft, a prospective Witch must already possess basic knowledge of and practice with both arcane and divine magic; sorcerers are most common, as such lineages coexist with that of the Thirteen, along with clerics from the clergy from the Hospices, but wizards, rangers, bards, and druids are not unknown. Once a Witch has been initiated into the Craft, they may use the Weave in small ways in their own practice; however, it is once Witches are joined in a Coven that their magic becomes powerful beyond the imagination of other spellcasters. A Hallowed Witch may gaze upon the Weave itself with their mind’s eye, drawing upon patterns and strands to form or identify patterns which they may subtly alter or employ to create magical effects. Indeed, Coven magic rarely disrupts the pattern of the Weave; instead, it subtly shapes and alters ongoing patterns so that desired outcomes occur. These outcomes, due to their natural origins, therefore often resemble acts of nature or accidents, such as a particular enemy of a Coven being caught in a storm and being struck by lightning. Furthermore, because the Weave is the fabric of creation itself, better understanding the Weave leads to better understanding of arcane and divine magic; whether it is this or merely due to general studiousness, Hallowed Witches who learn the secrets of the Weave also grow stronger and stronger in the practice of other forms of magic. Hags are in many ways a dark, twisted reflection of the Witches of Hala. Supernatural creatures that live as parasites upon mortals, they have developed the ability to manipulate the Weave as do Hala’s chosen, and in some cases they even form coveys, dark parodies of Covens dedicated to the corruption and exploitation of mankind. Even worse, the darkest whispers in the shadows suggest that some Witches, even those who are not hagspawn themselves, sometimes are corrupted or transformed into these terrifying monsters. This perversion of the Goddess’ purpose and this usurpation of Her gifts is considered by all Halans to be an abomination beyond all other abominations, and they characterize hag magic as covetous and damaging talons ripping at the fabric of the world. A usually deliberate faith, the servants of Hala will stop at little to destroy a hag covey or lone hag. Although the signs of a hag’s presence and the methods used in hunting them are beyond the purview of this compilation, it would be impossible to discuss the worship of Hala without mentioning the enemy against which her followers expend as much or more energy than any other. There is a curious trend among some hags to argue and even, perhaps, believe, that their own magic comes from Hala, a fact which any Halan would reject outright and may very well be either a malicious fabrication or the expression of a deeply-rooted wish for redemption and deliverance on the part of a race of monsters. The truth may never be known. What is certain, however, is the unflinching devotion that virtually all hags have to spreading death and destruction, and this alone is reason enough for Halans to oppose them. In order to work their magic, particularly to use the Craft, Coven Witches have need of a number of sacred and consecrated items, which they are expected to treat with utmost care. Indeed, they rarely invoke the Craft without their tools, and never without their focus. Tools are generally mundane objects that have been specially sanctified through rites of purification and consecration. By far the most important of these items is their craft focus. Each craft focus is unique to each Hallowed Witch, and without it she is incapable of wielding the Craft. A Craft Focus is always a small object weighing no more than five pounds. Typical craft foci include brooms, small cauldrons, chalices, crystals, daggers, and non-magical amulets and wands. In order to use the Craft, a Hallowed Witch must hold her focus in her hand. If a Hallowed Witch’s focus is destroyed or lost, she cannot use her Witchcraft abilities until she creates a replacement. Craft focuses do not radiate magic and do not detect as magical. Knife, Athame, or Dagger - Knives are common tools in Witchcraft. Consecrated knives are never used to cut or do any mundane work; rather, their purpose is to shape and focus energy during casting. Indeed, the blade of such a weapon is rarely actually sharp. Generally, such knives will be decorated with the mark of the Coven and/or the possessing Witch, and will have a black hilt and black decoration. An unconsecrated knife can never be used, although many Witches carry a secondary, crescent-bladed white knife for mundane or non-magical purposes. In rituals, the knife is the tool of the East and of the element of Air, although some traditions also associate it with Fire. Broom / Besom - The broom is used to purify space before a ritual. It is associated with the element of Water, and is generally used in any spell involving cleansing. Some Witches use them also to create magical wards, blocking a door or window. To be a magical broom, a broom must be made of an ash staff, birch twigs, and a willow binding. Ash is protective, birch cleansing, and willow sacred to the Goddess Hala. Unlike the ritual knife, the broom may be used for mundane purposes. Cauldron - The cauldron, or vessel, is considered a symbol of the Goddess Hala and is associated with the element of Water. It is used as a container when required in magical rituals, and in those rituals is usually the focal point of the rite. During spring rites, it can be filled with water and fresh flower petals, and in winter, a fire of sacred herbs may be lit inside the cauldron to symbolize the re-emergence of the sun. It may also be filled with clean water and used for scrying. Cauldrons are usually three-legged and made of cast iron. They come in all sizes, ranging from a few inches to several feet across. The Cauldron is the tool of the West and is associated with Water, fertility, and femininity. Unlike the sacred knife, the cauldron may be used for non-ritual purposes. Censer - The censer, or incense burner, is associated with the element of Air. It can be large, heavy, and made of metal, or it can be a small, wooden holder. The use of both types is fairly common. If a Witch cannot find or make a censer, they may use a bowl of salt or sand, into which sacred incense may be placed or pushed. Incense is used to heighten concentration, as well as for purification. If the censer is a Witch’s spell focus, it must be lit to be used. Chalice - The chalice is related to the element of Water and with the sacred feminine, often as a representation of the Goddess. In rituals in which wine is drunk, the wine is placed within the chalice. It can also be used as a cauldron is, for any of the same purposes. Unlike a cauldron, the chalice is never used for mundane purposes. The chalice may be made of virtually any substance, from silver or brass to wood or soapstone. Pentacle - The Pentacle is the tool of the North and is associated with the element of Earth. It is usually a flat piece of metal or brass with a pentagram, star, or other Halan occult symbol. It may be made from inscribed wood as well. It is generally used in rituals of consecration and protection. Wand - The wand is associated with the element of Air. It is used to direct energy, to scratch or draw magical symbols during rites, or to stir the contents of a cauldron. Woods such as willow, elder, oak, hazel, and apple are traditionally used for wands, but any fairly straight piece of wood can work. Wands are often intricately and carefully decorated by the Witches who possess them, and it is not uncommon for Witches to craft wands from crystal and decorate them with gemstones. Bell - The bell is an instrument of calling or summoning, as well as for measuring vibrations both spiritual and physical. Bells are rung to ward off unwanted spirits or to signify the beginning or end of a ritual. Staff - The staff is similar to the wand in its use and has generally the same attributes and uses, but is also a symbol of masculinity. All Witches use staves frequently. Stone - The stone is a less-commonly used symbol for the element of Earth, in place of the pentacle. While it is considered less potent, it is much less likely to be interpreted by outsiders as a tool of evil. Sword - The sword is used in place of the ritual dagger. Like a ritual dagger, the sword must be dull and never used for combat. A tool that is misused will require purification and re-consecration before it is used again. Barovia: As in realms throughout the Core, the Church of Hala maintains a fragile and unobtrusive presence in Barovia. Most Barovians’ experiences with the faith are limited to its hospices, where weary travelers are given shelter and healing. The majority of folk thus have a benign impression of the Church. Few suspect the reality that the Weathermay Twins so casually exposed by publishing Van Richten’s Guide to Witches: that the Church espouses a magical, naturalistic creed that would be regarded as profane by most Barovians. Hala’s clergy practice great discretion when dealing with Strahd’s agents, making a tremendous show of being humble and obedient. Their secrecy has been aided by the Count’s suppression of van Richten’s work. Hazlan: The Church of Hala has found many eager followers among the oppressed Rashemi. Hospices devoted to Hala are found in nearly every Rashemi community, and even those Rashemi who do not follow the Witch Goddess are grateful for the respite these places provide. Followers of Hala in Hazlan are even more secretive than in any other realm, save perhaps those in Tepest. The Mulan seek to stamp out the religion wherever they can find it, fearing the hope it offers and the feelings of community and equality it generates. The Rashemi protect the locations of the Halans as much as they can, however, and the religion has continued to thrive in secret. Kartakass: The Church of Hala maintains an unobtrusive profile in Kartakass. The Witches keep a few humble hospices, usually located within a day’s walk of the larger settlements. Most Kartakans know virtually nothing of these veiled Witches beyond their role as healers. Falkovnia: Remaining quiet and unobtrusive, the Witches of Hala maintain numerous small hospices throughout Falkovnia. The Hospice of Bowed Heads near the Lecher’s Road is noted for housing a number of important relics of the Witch goddess. Sadly, disaster haunts the Falkovnian hospices. In 737 BC, the Hospice of the Doe was destroyed when a doppelganger plant decimated the town of Delmunster. In 750, the Sisters of Mercy hospice was massacred to the last Witch. Dementlieu: The Halan Witches do not have a strong representation in Dementlieu, but they do maintain a number of hospices in Port-à-Lucine and Chateaufaux. Although few actively follow their faith, the hospices provide needed care for the poor, and so the Witches are regarded with some respect by the lower classes. By and large, the rest of the Dementlieuse pay little attention to the Witches. Mordent: Quite a few remote communities secretly rely on the aid of Hala’s cunning Witches--knowingly or not--to provide minor potions and remedies for daily aches. The Witches’ particular combination of divine and arcane magic is considered marginally acceptable (if not actually encouraged) by the populace as long as they do no harm with it. One should not mistake this for open acceptance, however, and for each hamlet that relies on a wise woman’s quiet skills for aid, another sees it as a sign of dark magic and will seek to drive the practitioners from the area. As a rule, worship of Hala is far from an open affair in the Mordentish countryside--so long as followers keep their faith to themselves. Quite often, the Witches will take pains to disguise their work as simple herbalism. On the other hand, in larger settlements, hospices do often exist and work openly among the populace, although they must keep mostly cloistered in order to avoid stoking unnecessary tensions. Richemulot: Given the more liberal attitudes of the people of Richemulot towards magic and religion, the worship of Hala is openly practiced here, and it contains one of the few sizeable lay populations who worship the Witch goddess. However, as with all Richemuloise devotion, it is not taken too seriously, beyond a few coppers in the poor box. Borca: Hala’s Witches maintain several small hospices in Borca, particularly in the rural west, but keep a low, wary profile, mindful of the suspicion caused by the Borovsky Edict in 701. Invidia: The worship of the goddess Hala has always existed in the region and continues to be practiced, despite popular dislike and fear of its practitioners. Witchcraft has been officially forbidden since the days of Bakholis. Those openly practicing Witchcraft risk arrest, trial, and imprisonment, for common wisdom declares that Witches are dark, malevolent beings intent only on inflicting pain and suffering. Recently, as Malocchio’s grip on the nation grows tighter, those found guilty of multiple instances of Witchcraft have been executed, many by burning or hanging. Still, worship of Hala continues in secret, with parents passing down wisdom and religious faith to their children, and Hala’s Witches learning their spells in dark glades, isolated clearings, or ancient ruins. Of course, the secretive nature of the faith only inflames common superstition and is seized upon as proof positive of the Witches’ malevolent nature. Verbrek: Most religious Verbrekers, even those who try to appease the Wolf God, count themselves among the faithful of Hala. The goddess’ message of harmony and wisdom appeals to the Verbreker sensibility, even if her mystical doctrine is sometimes lost on them. The Church of Hala is said to have arrived in Verbrek through a courageous Warlock from Mordent, who came not to proselytize, but to protect the natives from the werewolf scourge. This Warlock is said to be responsible for the cossetung carr scattered through the Verbrekan forests. These tiny cairns, hidden among the ferns and bearing the symbol of the goddess, are rumored to conceal hunters from voracious predators when blessed with a kiss. Valachan: The unobtrusive Church of Hala seems to thrive in Valachan. They run small hospices just outside the boundaries of many villages, cleverly escaping any clashes that could arise with the Church of Yutow. The Witches never proselytize, help only those who seek them out, and spend much of their time in research and contemplation. Their naturalistic faith appeals to many Valachani, who allow them to lead lives relatively free of persecution. Tepest: Hala is not widely worshipped in Tepest; rather the opposite, Hala is reviled in Tepest. Where she is considered a merciful goddess of healing and beneficial magic in just about every other land, the Tepestani view her as a patron of the fey and a protector of those who consort with them. Worshippers of Hala unmasked by the Inquisition are usually executed after only the most perfunctory of trials. Members of Covens, if identified, will be burned at the stake, because they are assumed to be fey in human guises. The hatred towards Hala and her followers comes from three sources, arising from the lack of concern about historical and intellectual accuracy that typifies the mindset of so many Tepestani. First, there is an epic of ancient Tepestani heroes questing against a woman named Hallah, who attempted to usurp the gods and seize control of the destiny of all mortals by spinning magical threads that represented each mortal life. By weaving these threads into tapestries, she dictated fates, and by cutting threads she ended lives. Second, the Inquisition believes that Hala may have been one of the three original corrupted wise women or that she may be the fey creature who seduced those women. The Inquisition dismisses any suggestion that the version held by Hala’s followers is anything but lies to shroud their evil natures. Some more recent bardic tales have merged modern beliefs with the ancient epic song and cast Hala as one of the fey who originally seduced the Tepestani wise women and who continues to spin deadly magical threads that corrupt all who become entangled in them. Finally, there are the aforementioned facts that worshippers of Hala refer to themselves as Witches and Warlocks and that the Tepestani translations for those titles imply inherent evil. Tepestani logic dictates that anyone who goes out of their way to describe themselves as evil must be evil. Although no Covens are publicly known to operate in Tepest, in all probability there are several. The general Tepestani view of magic and its place at the foundation of the world meshes perfectly with the views espoused by Hala and her fathers. Furthermore, cryptozoologists and monster-hunters know for certain that several powerful hags dwell within Tepest’s forests. Hags and Hala’s followers are dedicated foes, so where one can be found, the other eventually appears to destroy them. Unlike the Tepestani hatred of Hala, the animosity between Witches and hags is not something that grows from misunderstanding or ignorance. Rather, it grows from the simple fact that hags forge their spells from the same magical source used by the servants of Hala: the mystical Weave that binds all reality together. Witches and Warlocks of Hala hunt hags with the same zeal that the Inquisition hunts fey. If not for the willful ignorance and bigotry of the priests of Belenus, the two would be formidable allies for one another. Sithicus, Nova Vaasa, Darkon, Lamordia, Forlorn, Liffe, Nebligtode, Vechor, Blaustein, Ghastria, Keening, Necropolis, Dominia, G’Henna, I’Cath, Kalidnay, Nosos, Odiare, Souragne, Vorostokov, Har’Akir, Pharazia, Sebua, Cavitius, Tovag, Zherisia, Timor, Davion, the House of Lament, the Nightmare Lands, Scaena, Sanguinia, Rokushima: Zero or minimal presence. Hospice of Healing Hands: A large and impressive building home to a significant contingent of Hala's Witches located near Rotwald in Valachan. A vast library occupies nearly nine-tenths of the building. It is said to contain an ancient copy of the Tales of Ages holy book. It is led by Mother Marena. Hospice of the Three Hundred Wounds: An hospice located near Teuteldorf in Barovia. Hospice of Bowed Heads: Located near the Letcher's Road in the Vigila Dimorta Forest of eastern Falkovnia, this Hospice claims to house the remains of several of the thirteen original Witches and Warlocks of Hala. It supposedly contains many relics, the most prominent one being the Skull of the Seventh, which is said to have once protected the Hospice when the forces of Vlad Drakov tried to destroy it. Hospice of Sheltered Grace: An Hospice located near Castle Pantara in Valachan that collapsed in 696 BC. Sisters of Grace Hospice: This hospice located in Falkovnia was destroyed in 750 BC when a monster slaughtered the entire Coven. Sisters of Mercy Hospice: This Hospice is located in the city of Mordentshire. Sixteen sisters of Hala operate in this hospice which provides healing for sick. A few unnatural deaths were reported a dozen years ago and it is said that the late Doctor Van Richten investigated and solved the matter. Sisters of Mercy Hospice: Another Hospice led by another congregation of the Sisters of Mercy was destroyed to the last Witch in Falkovnia in 750 BC. Hospice of the Doe: This hospice was located in the small village of Delmunster in Falkovnia. It was destroyed in 737 BC when a doppelganger plant decimated the town. Blessed Hall of Ashington: At one point in its troubled existence, the Ashington Manor was a Hospice of Hala led by Byron Ashington-Welles who sought to make the place into a proper hospice. For some seventeen years, he succeeded and the Hospice gained in popularity. However, after seventeen years, the entire Coven was brutally slaughtered. Sisters of Compassion Hospice: A small order of Halans operates several small hospices in the slums of Port-à-Lucine. These Halans provide healing and shelter to the poor of the city. It is led by Mother Klara. Sanctuary of the Forgotten Lady: Just shy of the Borcan border in Richemulot, at the southern edge of the House of the Sages, stands a ruined chapel at the center of a stony meadow. A single caretaker, a blind and comely matron named Balihnda takes care of the place, despite its ruined state. The Lawgiver: The Church of the Lawgiver is the most outspoken critic of the Church of Hala, and the former actively persecutes the latter's clergy and worshipers. In areas subordinated to the worship of the Lawgiver, divine magic is accepted if and only if it flows from the Lawgiver. When the Church of the Lawgiver deigns to admit the existence of other gods, it places them in subordinate roles, labeling them as servants of the Lawgiver and essentially powerless in their own right. Both Ezra and Hala, for example, are officially codified as the Lawgiver's concubines. Therefore, according to Church dogma, any cleric performing miracles in the name of a god other than the Lawgiver must be a liar and a heretic, drawing his magic from arcane or even demonic sources. Imprisonment is the kindest fate a heretic can hope for, so servants of other gods would be wise not to call attention to themselves with flashy displays of divine power. Furthermore, priests of the Lawgiver have always believed Hala's ranks to contain many Warlocks and Witches. Priests of the Lawgiver believe all Witches and Warlocks are engaged in a grand conspiracy devoted to undermining the authority of the legitimate rulers of our land's domains. As such, the Church of the Lawgiver and its priests view the Church of Hala as actively working against them and the goals of their god, one of which is the strengthening rightful rulers of our lands. There are virtually no hospices operated by the Church of Hala in regions where the Church of the Lawgiver is strong. However, that does not mean that Witches, Warlocks, and Covens of Hala are not active in such areas. A number of Covens operate secretly in the countryside of Hazlan, where the Lawgiver's worship is strongest, opposing that domain's tyrannical wizard-lord at every turn. Ezra: The Church of Ezra and the Church of Hala have always had a rocky relationship. The belief in Hala predates that in Ezra by a number of centuries, and some historians, following a Halan legend, say that Ezra was a priestess of Hala before she ascended to godhood, a legend the Home Faith declares as heresy. In 701 BC Praesidia Donella Borovsky issued an edict bluntly calling Witchcraft hag magic, declaring that it invariably produced physical and spiritual corruption. The Home Faith never actively persecuted Witches, but Borcans grew cold towards Hala’s followers. Praesidia Kristyn Stoyista, Borovsky’s successor, rescinded the edict in 732 BC, but to this day, Hala’s Witches often become scapegoats in Borca and other Ezrite realms when “panics” arise. Needless to say, as aggressive as the priests of Ezra have become in spreading their faith in recent years, this notion does not sit well with much of Ezra's clergy. Nonetheless, the Great Cathedral, the central authority to which the many varied sects of Ezra look for their foundational doctrines, has made a point of stating that it considers the hospices operated by the Church of Hala to be a great benefit to all the people of the land. The Great Cathedral has also acknowledged Hala as a force for good in our dark land. However, it has stated an official distrust of Hala's church because of a claimed "hidden agenda" on the part of the governing hierarchy of Hala's church, an agenda that is kept secret even from many of the rank-and-file followers of Hala. Many local priests have taken the distrust expressed by the Great Cathedral one step further and have started preaching against this supposedly secret side of the Church of Hala. As many clergymen are wont to do, they engage in hyperbole and create imaginary devils where none might be, telling the faithful that the Church of Hala might heal the body but in doing so corrupts the mind and soul. Yutow: The priests of Yutow believe that Hala is a spirit spreading trickery or misinformation caused by overly-sedentary lifestyles in other lands. Young witches and warlocks are given the warning: "Use your power carefully and never take the Weave for granted. The incautious user may become entangled and paralyzed in its netting at the most inopportune moments." 1. To what extent are Hospice Witches aware of the existence of Hallowed Witches? It varies, of course, as do most things among Halans, but in general, they will know legends of the existence of Hallowed Witches, and the fact that the Goddess gave her chosen thirteen particular knowledge of the Weave. What that knowledge entailed might be vague or incorrect. They will likely not know whether their own hospice includes any Hallowed Witches. 2. Wait! Halans hate suffering. How are they not good?! The Goddess’ charge says only that mankind should be freed from pettiness, baseness, and cruelty. The Nine wished to see mortals grow to greatness and accomplish great deeds—regardless of whether those deeds are ‘good’. Suffering and pain are obstacles that prevent humans from aspiring to become more than they are, and thus, they are obstacles to the intentions of the creators of the world, and must be removed. Whether this is in the service of ‘good’ or ‘evil’ is mostly an academic question, and Halans vary greatly on what methods they deem acceptable when balanced against the suffering they prevent or relieve. 3. Can Halans actually turn into hags? Generally, no. But everything is possible through curses or DPs. 4. What’s the difference between a Hallowed Witch and a Coven Witch? None. They are the same thing. 5. Are Coven Warlocks the same as the D&D Warlock? No. Warlock is a common term for spellcaster, but the D&D warlock describes a wholly different type of character; a Warlock to a Halan is merely a common alternative term for a male Witch. 6. Can outlanders be Hallowed Witches? No. Ravenloft denizens do not leave the Demiplane, so the Thirteen Bloodlines are limited to native characters.